Solving an issue that plagues every vehicle on the road – faded headlights! Call up your local auto dealer to inquire about a replacement set of headlight lenses for your vehicle. Are you surprised that they told you a replacement headlight (just one!) is over $1,000? If your vehicle was manufactured in the 90s or early 2000s, before projector beams and LEDs became prevalent, you might get lucky with a replacement headlight lens costing only $500. McKee’s 37 Headlight Coating saves you TIME, MONEY, and FRUSTRATION by preventing headlight lenses from fading, discoloring, and yellowing in the first place – for a fraction of the cost of a replacement lens! McKee’s 37 Headlight Coating is inexpensive insurance for providing a clear view of the road ahead. Cloudy, faded headlight lenses block the output of the actual headlight bulb by up to 90%, reducing visibility during nighttime driving, not to mention during inclement weather conditions such as ice, sleet, and snow. If your vehicle has headlights that are cloudy and yellow, RESTORE the clarity using McKee’s 37 All-In-One Headlight Restoring Polish, then COAT them using McKee’s 37 Headlight Coating. What are you waiting for?! If you just purchased a brand-new car, truck, or SUV, the time to coat the headlights is NOW! Don’t wait until they begin to show signs of UV degradation; apply McKee’s 37 Headlight Coating to prevent that from happening in the first place! Don’t stop at headlights! 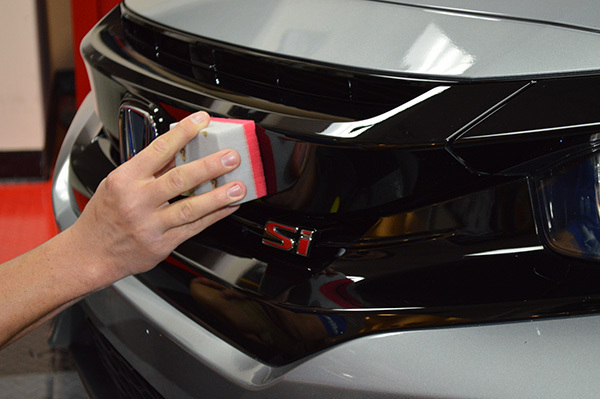 McKee’s 37 Headlight Coating also works to protect plastic-chrome and piano black exterior trim from UV-induced fading, etching from bug splatter, and swirl marks from improper washing. McKee’s 37 Headlight Coating is a fantastic value. This one 4 oz. 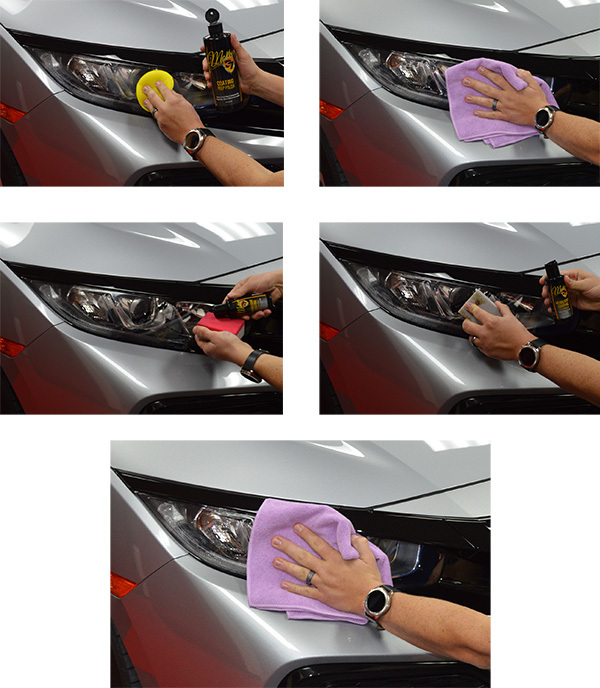 bottle is enough product to coat up to 50 headlights, making it especially appealing for professional detailers that upsell this service to customers. Directions: If applicable, remove oxidation and yellowing by using McKee’s 37 All-In-One Headlight Restoring Polish. Then, wipe the lens down with McKee’s 37 N-914 Rinseless Wash diluted 1:8 (paint prep ratio). If working on a NEW vehicle, use McKee's 37 Coating Prep Polish in place of the aforementioned products. Like everything else, excellent product. 5 I restore a lot of headlights, and the final part of my process is a coating of McKee's Headlight Coating. Easy to apply, lasts a long time, and doesn't harden up in the bottle. Love this stuff. Pros:Easy to use, plenty of product to make it a value for pros. Cons:My only want would be a better dispenser bottle cap. I hate those little shampoo bottle caps M37 uses on the 2oz bottles. Ms Kees 37 headlight coating 5 I used to apply McKees 37 paint coating 260 on headlights as a sealant after restoration and I was happy using it. Now I purchased the 270 headlight coating hoping that it would last the Three years shelf life they claim . Overall I love the product , I restore headlights for a living and McKees 270 makes them be as good as a new headlight.